these tags couldn't get any worse even if I tried. So, I hate to be hypocritical, and add one more Xbox-related post to TAY, but I took a look at the new Xbox, and immediately thought "Damn, it kinda looks uncomfortable", which made me think of other controllers, and then eventually led to the creation of this post. Now, I know, I know, "Don't judge since it's not out yet, PS3 fanboy fag!" or something along those lines (Also, the damn thing is barely being revealed and people are already whining?) but don't the angles of the grips seem too . . . Obtuse? It could be me, but I can't picture being too comfortable at that angle. Which is surprising, since the last Xbox controller is perhaps the most comfortable and ergonomic controller I've used. See? The grip angle is more acute on this one! Then there's the good ol' Dualshock. It's a nicely balanced designed, comfy and practical, and definitely more light. It's timeless, and doesn't require you to get used to it, since chances are, you've been using one of these all the way back to the PS1 era. Then, there's this . . . Yea, it's just not the same. I mean, it looks nice, but the grips are way too acute this time. 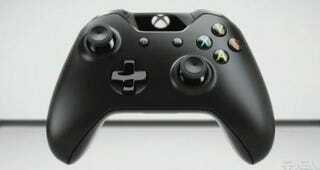 I'm really digging the analog stick design though! I mean, just look at it! If it's rubbery, it'll definitely get extra points. Then there's this one. Ah, so awkward after all these years of using the Xbox and Play Station ones, yupp. I still like the Z button, since it feels like the "launch missiles" button on an airplane pitch ^^ The shoulder buttons have not aged well, and come to think of it, I never really used the C stick or the D-pad. Actually, D-pads don't see too much use all the time now, huh? Most games do the "Hold the bumper buttons and use the left stick" type of thing. But anyways, what about you guys? What were your favorite controllers?